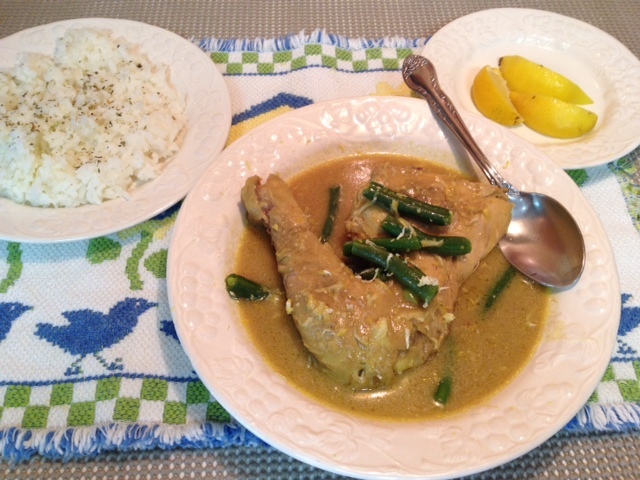 This dish was really painless, effortless, and simple to prepare. First for the painless part, it was cooked in a slow cooker. Just effortlessly add your ingredients to the slow cooker, and leave on low for 6 hours. How simple is that? Chicken legs, thighs, and quarters are a low cost, versatile source of protein, chicken has long been a staple of diets around the globe. In fact, it is the world’s leading source of animal protein and has been a healthy alternative to red meat. Thigh meat though by many who frown on fat, prefer not to consume it. Keep in mind that thigh meat is also high in protein as breast meat is, and the fat in the meat is needed by your cells for their protection from oxidation. Also power builders will eat thigh meat over chicken breast because of the fat and protein content that help to build muscle and actually loss fat. You can also remove the skin of the chicken before cooking it to reduce the fat content. 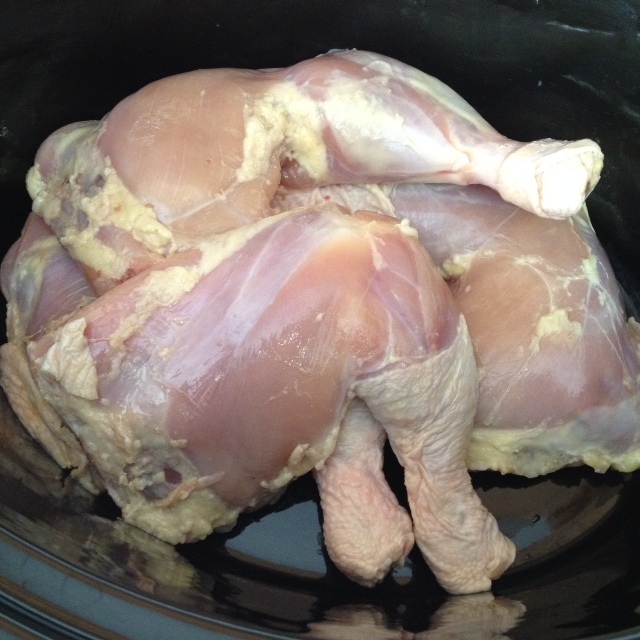 Trim chicken of any fat, and remove skin (optional), and place into a 4 quart or bigger slow cooker. 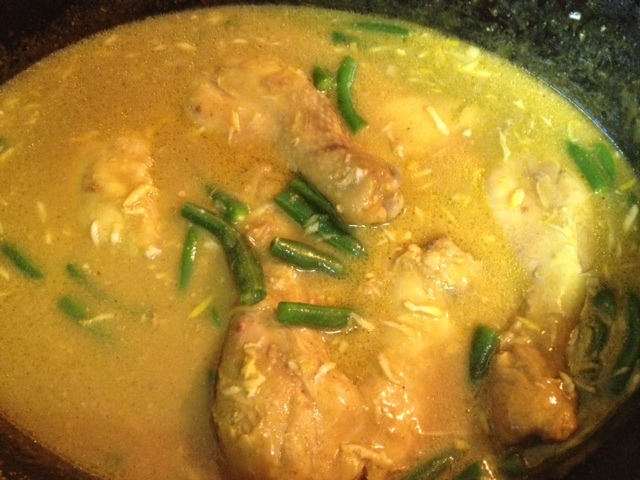 Next the recipe calls for combining the curry and soup mix and sprinkling it over and around the meat, and adding water until chicken is barely covered. 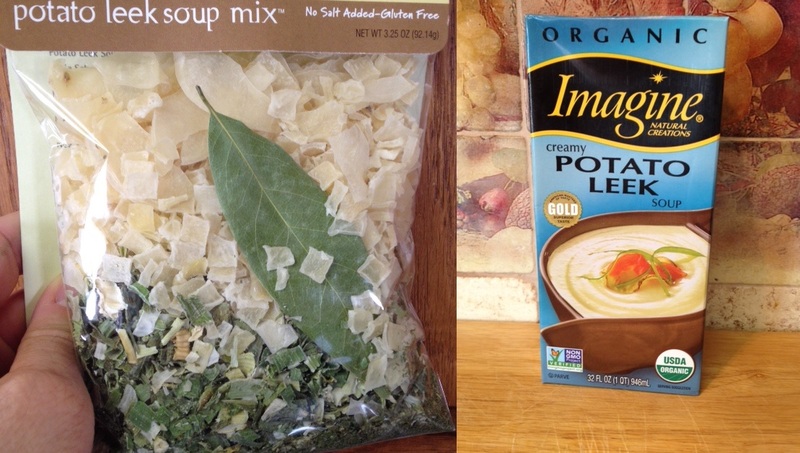 We found a dried soup mix at Albertson’s for $7.00, we felt it was expensive, but did buy it. Then we made a trek over to the Whole Foods Market, and found a prepared organic Creamy Potato Leek soup for only $3.99 and on sale for $3.69. We went with the prepared soup from Whole Foods. 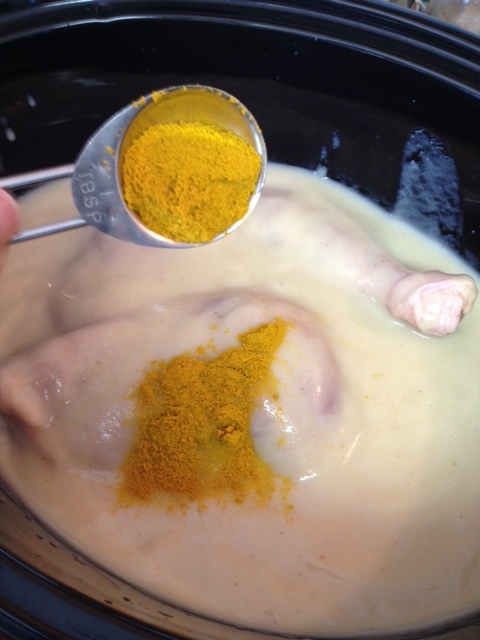 After placing the chicken leg quarters in the slow cooker, add the soup, and 1 tablespoon of curry powder, and mix in thoroughly. Turn your slow cooker to high for 4 hours or on low for 6 hours, and place the lid over the slow cooker. The beans are added to the slow cooker 1 hour before the meat is cooked. 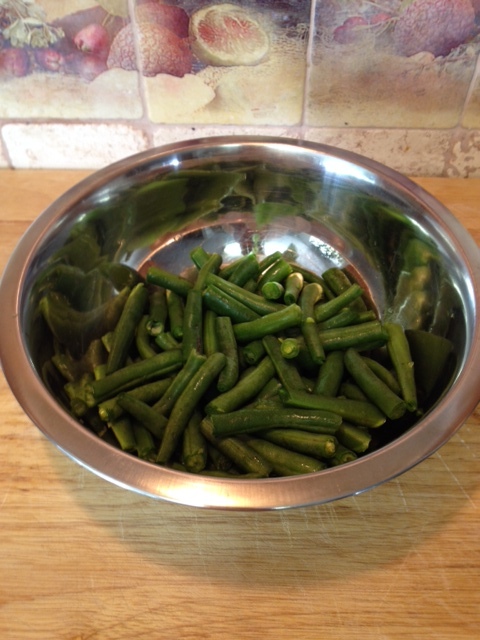 Trim the fresh green beans and blanch in boiling water for 3 minutes only. Remove from water and drop beans into some ice cold water for 3 minutes, to stop them from continuing to cook. Remove from cold water, and add to slow cooker, and mix in well. Next add zest from 1/2 a lemon, and mix in well. Cover slow cooker with lid, and continue cooking one hour more. 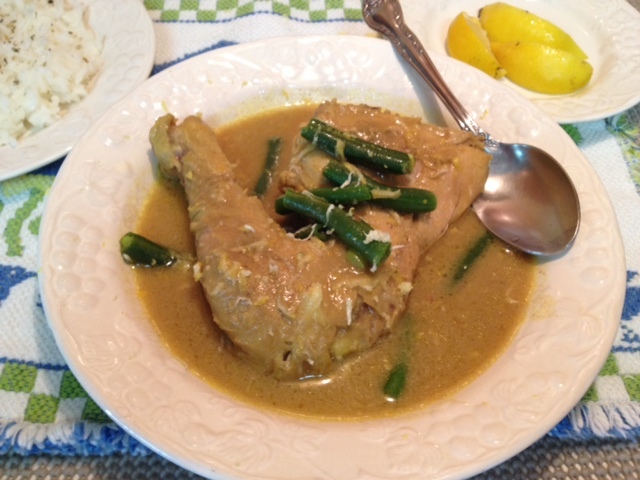 Plate and serve the Chicken Curry Soup with a side of rice. You can also top with more lemon zest. Enjoy!! If you have any questions about the use of a slow cooker, such as are they safe to cook with, view our article: Slow Cooking, is it Safe? This entry was posted in Chicken, Soups and Salads and tagged Broth, chicken legs, Cook, crock pot cooking, Curry, Curry powder, dried soup, Food, leek and potato soup, Lemon Zest, Organic foods, Poultry, Slow cooker, Soup, Whole Foods Market. Bookmark the permalink.